Welcome to our AutoSource used car dealership in Windsor, CO. In Feb 2016, about one year after opening our first Colorado dealership in Colorado Springs we knew the time was right to open a second location in Windsor to serve the people in Northern Colorado. We are so excited to help you find the car you want and need in the Denver/Fort Collins/Windsor area! 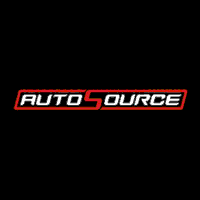 AutoSource in Draper, UT is the newest dealership in the AutoSource family. Located just off the highway between Salt Lake and Utah Counties, AutoSource Draper is conveniently located for shoppers in both counties. We welcome customers to our stores regardless of how far they may travel, though. AutoSource in Woods Cross, UT is one of our largest dealerships and also serves as our corporate headquarters. We’re located just 10 min north of Salt Lake City and proudly serve those in and around Salt Lake and Davis Counties. However, it should be noted that we welcome customers to our stores regardless of how far they may travel. With close to 300 cars on the lot on average you should have no trouble finding the car, truck, SUV or van to meet your needs.